Not my intention of watching this movie since i'm not a fiction or fantasy adventure type of movie-goer. so sorry to all the fans as it might affect the review in here. 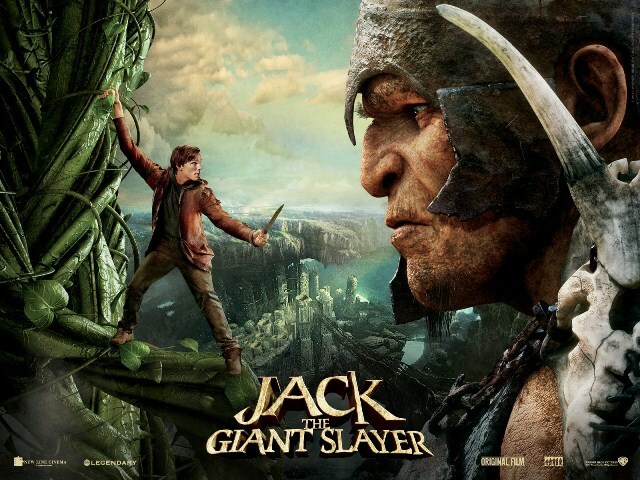 obviously, it based on the fairy tales of "Jack The Giant Killer" and "Jack and The Beanstalk". A bit for whom do not even know that this movie is the 'Now Showing' in all the local cinemas like me?! so, the picture is set in the Kingdom of Cloister, a farm boy named Jack (Nicholas Hoult) and a princess, Isabelle (Eleanor Tomlinson) became fascinated by a legend of King Erik who defeated an army of giants and successfully controlled them and sent them back to a realm in the sky. 10 years later, both of them have grown up and still wonder neither the legend is truth nor false? then, one night when Princess Isabelle accidentally seeks shelter at Jack's house, one of the stolen bean turns into a 'giant' beanstalk and took the house together with Princess Isabelle to the sky high. Next morning, King Brahmwell asked Jack what has happened to her daughter before finally decided to stay down the beanstalk until the princess found. So, princess Isabelle's guardian Elmont (Ewan McGregor), future-husband Rodrick, all the king's knight and together with Jack climb on the beanstalk to rescue the princess. then, came the fight between the humans and the giants up on the realm which soon killed all the people except Jack, Princess Isabelle and Elmont who managed to go down using the fallen beanstalk. Not so long after that, the giants found another 3 beans which help them to descend down to earth and attack Cloister. when the humans are about reaching the ending, Jack who own the magic crown and send the giants back to the realm. one word: BORING! oh oh...tons of apologizes to all the fans as i mentioned earlier that i'm not fancy the fantasy kinda movie. so, this was paid by my dearest friend. obviously!! Oh ok, one thing which i found great about this film is the graphic effects especially the growing of the beanstalk. very real, quite scary haha and honestly, i was fascinated by it. oh, those gigantic giants are creepy too. ok, thats it! So, the rank is totally based on my own opinion and uninterested interest, 2.00 out of 5.00. cruel huh?! hence, my recommendation would definitely goes to ONLY the fans of fantasy movies and not the one who is not favour it like me.....yup, especially those who addicted to the series of Harry Porter like my best buddy who paid the tix here. 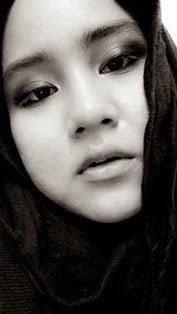 pika baru je lepas tgok cerita ni td kak suzai..huhuu..
kene tgk dan adili sendiri la kalau macam tu..